Reports in from witnesses said it was dumped off the back of a respectable looking white flat – backed truck, however the number plates were almost impossible to read. Shame, could have had them banged to rights. 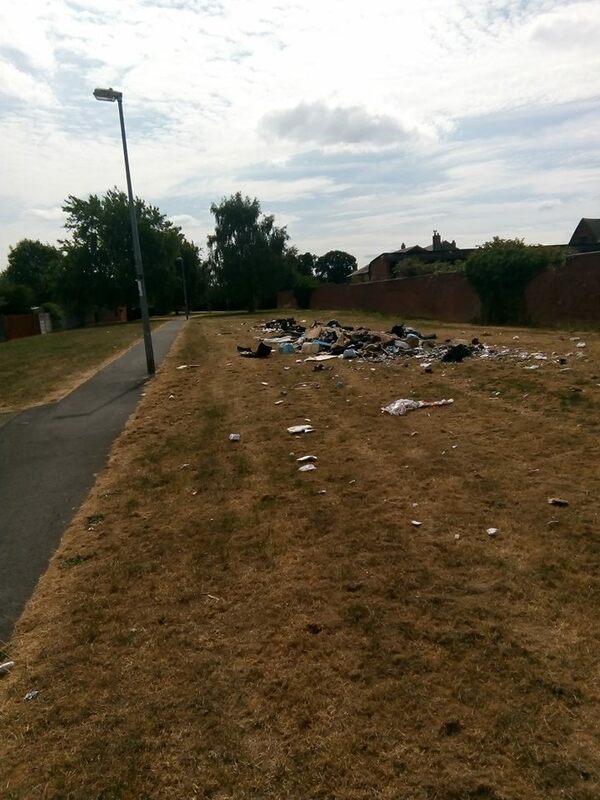 I have forwarded the photo and pinpointed the location on Google Maps along with as much detail as I have onto the council’s fly-tipping team asking them to clear the rubbish up and search through it to see if there is any ID which could expose the source. If the Tories think that opening Walsall’s Civic Amenity sites seven days a week is going to stop this sort of fly – tipping menace they’d better think again. The people who do this are not the sort who will rock up at an amenity site no matter how many days a week they were open.